Trick Eye Museum Singapore - How to Create your own Adventure? There are times when you just need a place to escape to, to get away from the normality of life. A sanctuary of mysteries, excitement, supernatural, fairytale and fantasy to let your creativity run free. 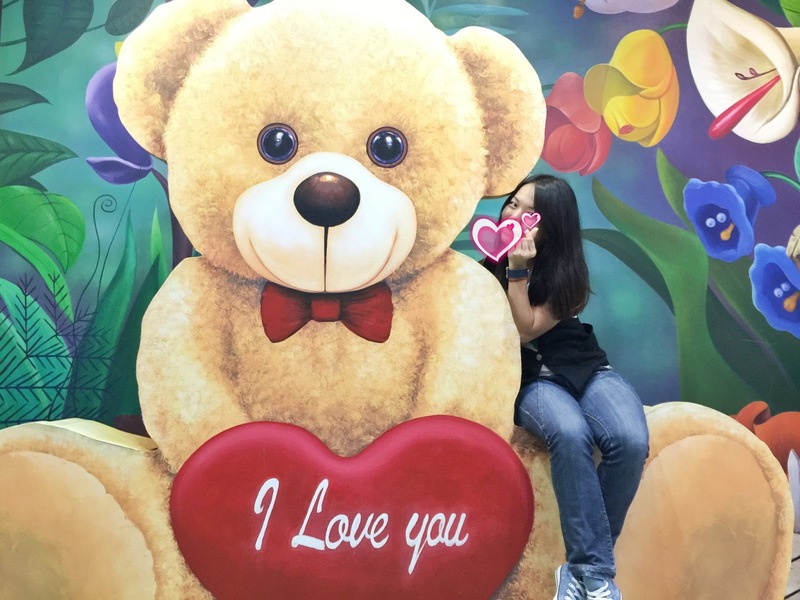 Thankfully, there is one such place: Trick Eye Museum at Resorts World Sentosa. 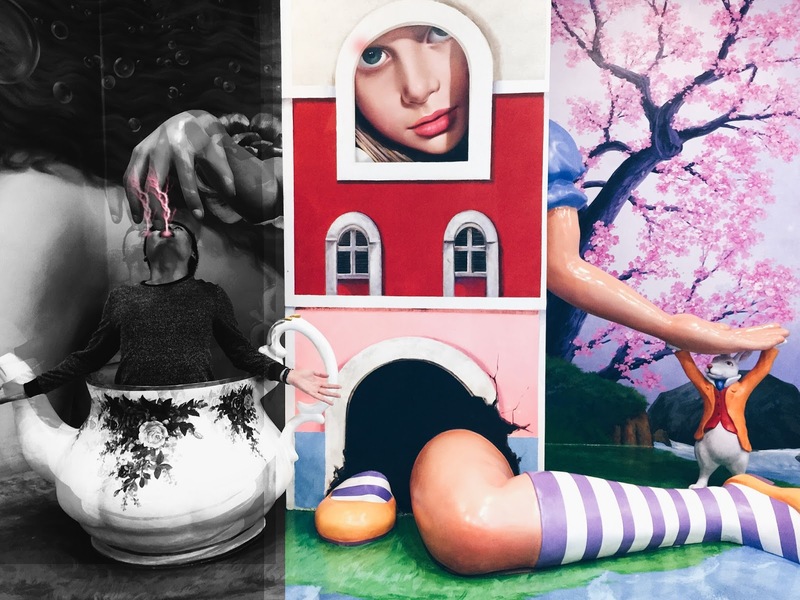 The key to immersing yourself in the Trick Eye Museum experience is to create your own adventure at each exhibit, letting your imagination go wild. Instead of just tip-toeing along these precarious ice blocks in this frozen mountain, why not dance on it? Try as you might, there is simply no way to stop the flow of time. To make the best use of our life, wouldn't it be awesome if we could clone ourselves into two? Yes, you can have a lot of fun and laughter when you are creating your own unique story adventure at Trick Eye Museum! But, your story adventure should not stop at just one country. Wouldn't it be awesome if you could create your stories at all Trick Eye Museums around the world? Here's your chance! 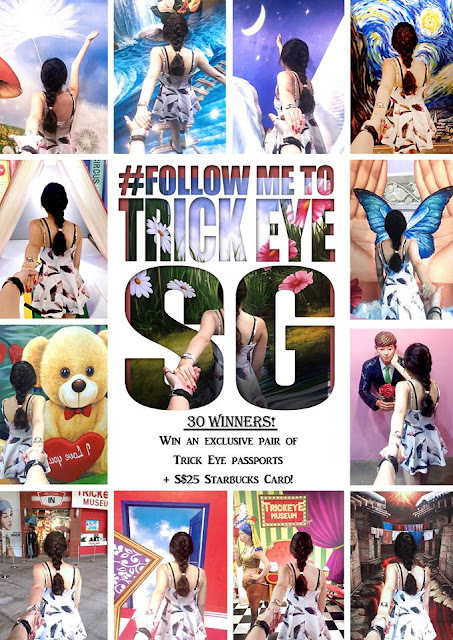 Win an exclusive pair of Trick Eye Passports that will entitle you free admission to all Trick Eye Museum branches around the world + A S$25 Starbucks card! Take your own ‪#‎FollowMeToTrickEyeSG‬ photos and win prizes. Step 1: Take your own ‘Follow Me To’ creative shot at any backdrop within Trick Eye Museum. You can join this contest with your lover/friend/family! 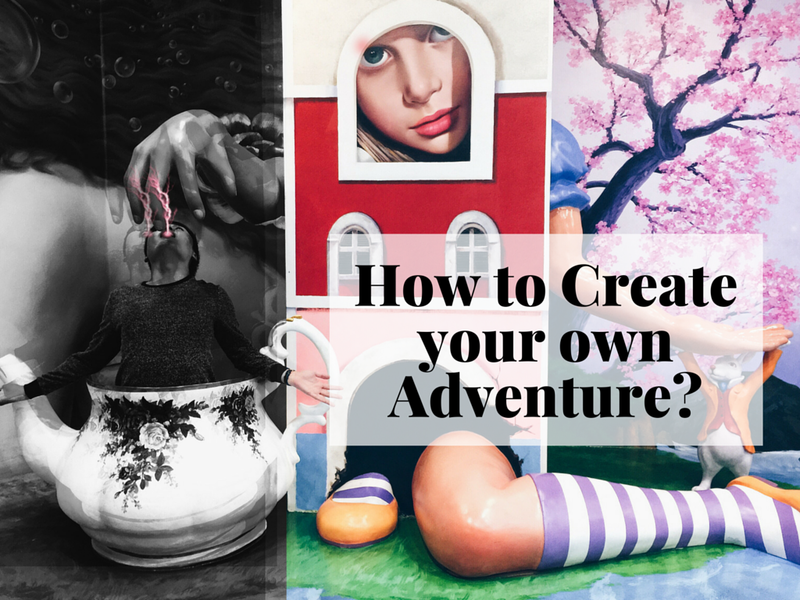 Now go and create your own stories at Trick Eye Museum, because our life should be an adventure. Adult tickets are priced at $25 per pax while tickets for children or seniors are priced at $20 per pax. Tickets can be purchased onsite or online at Trick Eye Museum website or Resorts World Sentosa website. are masterpieces! It is a reality! even hard to imagine that it really exists!